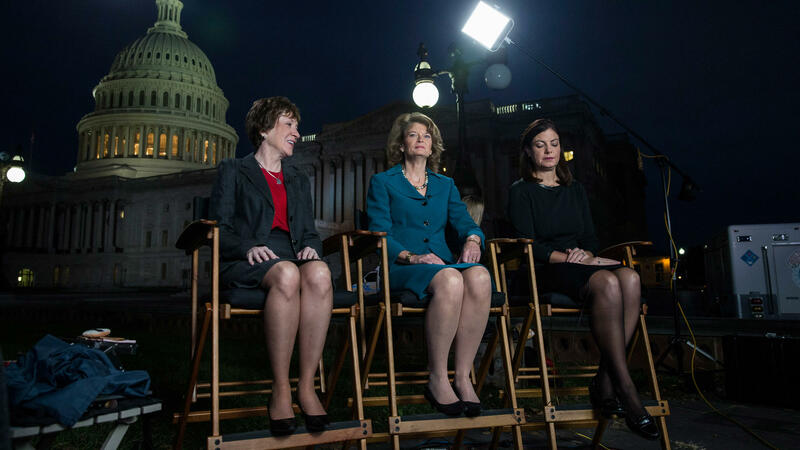 A record number of women are running for Congress, which means there's a decent chance that the number of women on Capitol Hill will grow next session. That could fundamentally change the culture of Capitol Hill. But there's little reason to expect it'll make Congress more bipartisan. NPR's Danielle Kurtzleben reports. DANIELLE KURTZLEBEN, BYLINE: Back in 2013, the federal government shut down for 16 days. A few women in particular played key roles in ending that gridlock, senators including Maine Republican Susan Collins and Minnesota Democrat Amy Klobuchar. Afterward, Arkansas Democratic Senator Mark Pryor gave those women all the credit. MARK PRYOR: Women in the Senate is a good thing. And we - we're all just glad that they allowed us to tag along so we could see how it's done. Isn't that right? KURTZLEBEN: The whole episode fed into a pervasive idea that women lawmakers are better at bipartisan compromise than men are. Not everyone buys that theory, though. And that includes Jennifer Lawless, a professor of politics at the University of Virginia. JENNIFER LAWLESS: Women and men are first and foremost partisans. KURTZLEBEN: She and coauthors Sean Theriault and Samantha Guthrie recently tried to figure out just how likely women lawmakers are to reach across the aisle. LAWLESS: Women were no more likely than men to take bipartisan fact-finding missions abroad. 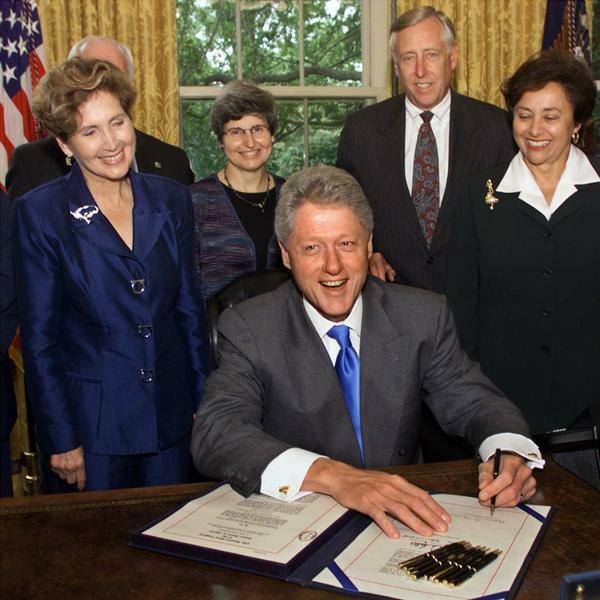 They were no more likely than men to co-sponsor legislation from someone of the other party. They were no more likely than men to cast bipartisan procedural votes. And we've known for a long time they were no more likely to vote differently on substantive final votes. KURTZLEBEN: There are real reasons why this stereotype exists. One is that women do cooperate well when they're not elected officials. LAWLESS: Outside of politics, there's a lot of evidence from a lot of different disciplines that women actually are more likely than men to value cooperation and collaboration. KURTZLEBEN: But partisanship complicates things. And the incentives to stick with your team keep women and men voting in much the same ways. LAWLESS: Party loyalty is what's valued. Party loyalty is how you climb the ladder. Party loyalty is how you get the committee assignments you want. Party loyalty is how you get reelected. KURTZLEBEN: The idea that women are naturally suited to cleaning up the messy business of politics is an old one, according to former Democratic congresswoman Pat Schroeder. PAT SCHROEDER: This goes way back to when women got the right to vote. Many people thought, oh, if women are voting, well, there'll be more morality. It'll be (laughter) wonderful, and the angels will descend from heaven. KURTZLEBEN: As it turns out, that's not how things work. But it's still possible that women legislators do their jobs differently from men. 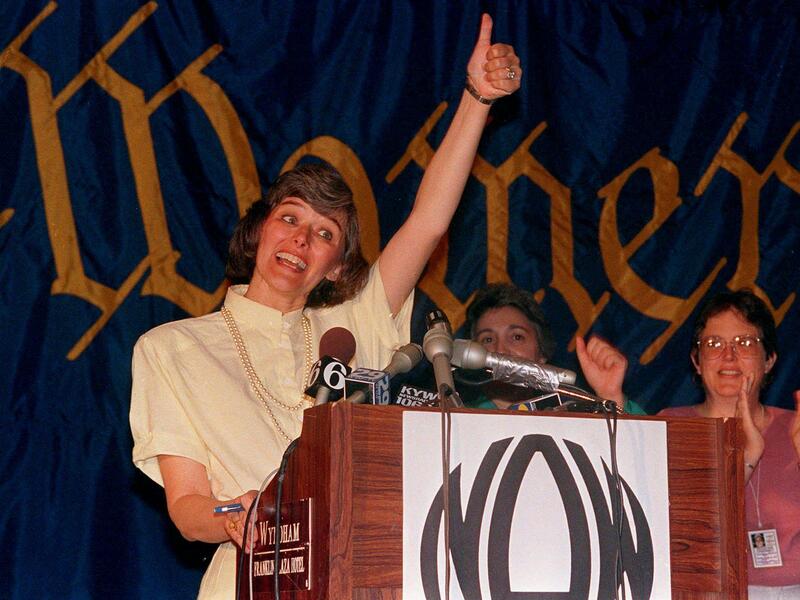 Republican Connie Morella, who served in the House from 1987 through 2003, believes that. CONNIE MORELLA: I think that women come to it having worked harder to reach that point. They tend to persevere more. They tend to have more patience. And I think their mandate to themselves is, let's get things done. KURTZLEBEN: Research has shown that women legislators bring more spending back to their districts than men. Minority party women are also better than men at keeping their bills alive longer. Lawless and her coauthors also found that women in Congress participate in organized social activities more often than men do. LAWLESS: It's very possible that Congress would function even worse if we didn't have (laughter) women in there right now. We know that women are in a lot of ways the social glue that holds the institution together. KURTZLEBEN: But it doesn't seem to be affecting voting. And really, Lawless says, it's just common sense that we shouldn't expect it to. LAWLESS: As women's presence in Congress has increased, so has party polarization. That's certainly not to suggest that women are the cause of it. But it does send a pretty clear message that they're not inoculating the institution from it. KURTZLEBEN: The idea that being a woman makes someone a better lawmaker does pop up occasionally on the campaign trail, like in this ad from Arizona Republican Senate candidate Martha McSally. MARTHA MCSALLY: That's why I told Washington Republicans to grow a pair of ovaries and get the job done. KURTZLEBEN: Then again, she's not exactly making a bipartisan appeal there. MCSALLY: After taking on terrorists in combat, the liberals in the Senate won't scare me one bit. KURTZLEBEN: At a time when Congress is as polarized as ever, trying to tell voters you'll reach across the aisle just may not be a winning strategy, whether you're a man or a woman. Danielle Kurtzleben, NPR News.